Orange you glad it’s not burning hot outside anymore? I think we can all agree we deserved a break from the Florida heat and humidity. Fortunately, the temperature has cooled beautifully this fall. Now it’s finally pumpkin season. Pumpkins have taken over stores, food brands and Facebook profile pictures, and even though Halloween is over, this season staple isn’t going anywhere. Fortunately, you can do a lot more than just eat, carve or pose with a pumpkin. Try these Pinterest-inspired, do-it-yourself decor ideas to add some pumpkin spice to your life without driving to Starbucks. I used my own miniature pumpkin so don’t be afraid to design your own creations. People seem obsessed with pumpkin-flavored everything — wine, beer, liquor and more. 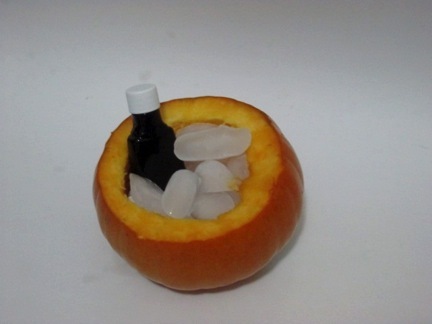 But have you ever considered chilling your beverages in an actual pumpkin? Cut off the top and remove the gooey contents. You will need a large enough bowl to fit comfortably inside. Fill the bowl with ice, and pop in your favorite spritzers. Instead of a bland container of French onion dip, add a seasonal twist to your party by using a pumpkin as the dipping bowl. Cut a wide enough hole at the top so a container of dip can easily fit inside without falling through. 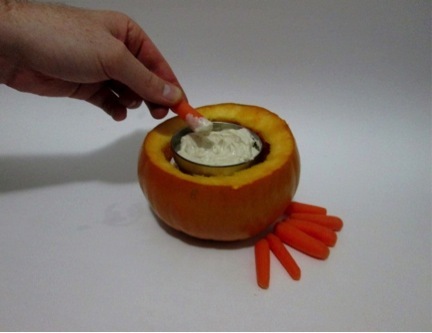 Hollow out the gourd, set the dip in place and surround it with your favorite veggies. Smaller gourds accompanied by randomly sized pumpkins create a festive centerpiece for your table. Be modern with metallics or traditional with fall colors. I think spray paint gives the most polished look, but get creative because the possibilities are endless. 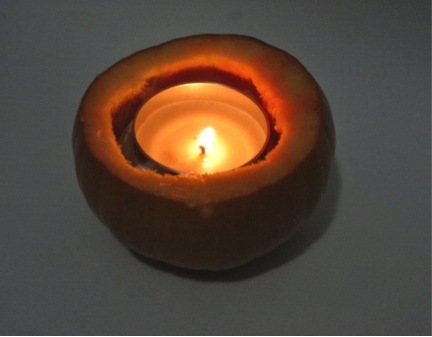 There are several ways to go about this craft, but mini pumpkins or small gourds work best. Make a small hole at the top — snug enough for a candle about 1 inch in diameter, which can be found at Michaels for $3. You can let the wax drip, or opt for a cleaner option with LED candles. If you’re making a big batch of pumpkin brew, pour it inside a hollow gourd for the optimal party experience. 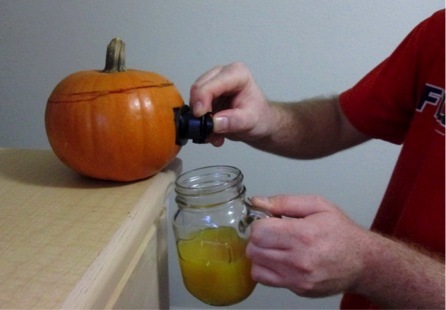 You can buy “The Pumpkin Tap Kit” by KegWorks for $30, which includes a brass tap made for dispensing from large fruits. The tap is also a good investment: save it for a watermelon during the summertime.